than that: a (winter) coat! It is so pretty, and warm, and pretty. Did I mention pretty? And soft. I keep patting it (don't judge me). 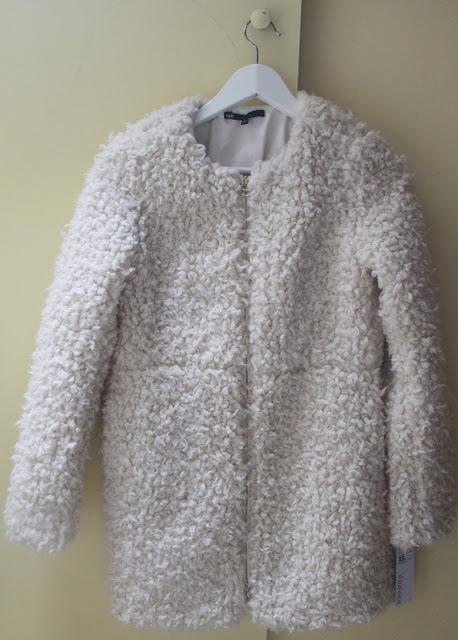 How the fake-sheep-skin thingy looks.